Environmental art activists plan to wage a campaign of “creative disobedience” against the Louvre, unless the home of the world famous Mona Lisa portrait cuts financial ties with an international oil company. Climate movement 350.org, which connects environmental activists all over the world, say the Paris museum’s partnership with energy firm Total paints the damaging oil business in a positive light. A 350.org activist told RT.com that meetings are being held this weekend to discuss what form the “disobedience” will take. During the UN Climate Change Conference in 2015, 10 people protesting the historic gallery’s fossil fuel associations were arrested for pouring “oil” on the atrium floor. 350.org suggest jumping into bed with the arts is a way for companies engaged in environmentally compromising activities to change public perception. Through the Total Foundation, the French energy company has sponsored exhibitions such as “A Brief History of the Future” and the performing arts showcase currently being exhibited in the museum’s Richelieu wing. 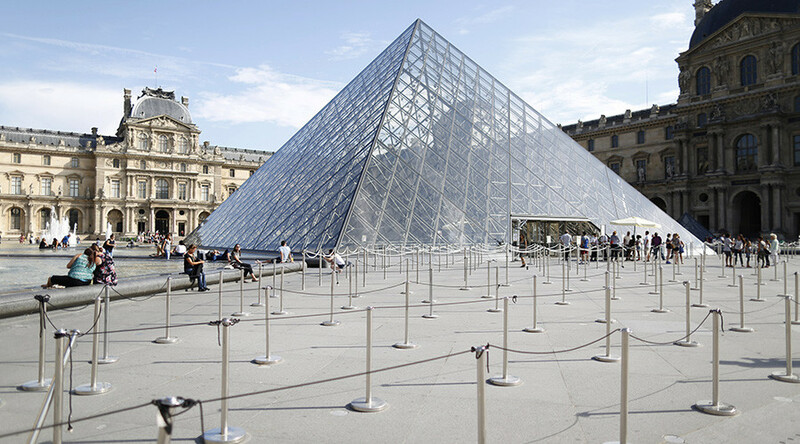 A website dedicated to the Total Foundation describes the Louvre as a “long-term” creative partner, with the restoration of the tourist attraction’s Apollo Gallery listed among its philanthropy projects. RT has reached out to both Total and the Louvre museum press office for comment, but neither had responded at the time of writing. In 2010, Total announced it had paid out €171.5 million in settlements after its chartered tanker the Erika got into trouble off the French coast and caused an oil spill. Following the 1999 spillage, the company was found to be imprudent in chartering the ship. “Total has spent over €370 million in order to compensate and repair the damages resulting from this catastrophic incident,” Total said of the incident. London’s Tate Modern has also been the focus for oil sponsorship outrage. As part of a 25-hour unauthorized performance in 2015, activists from the Liberate Tate collective scrawled messages in the gallery’s Turbine Hall to denounce BP’s patronage. BP later ended its sponsorship with the Tate Modern, although the company cited business reasons.